I need a good miter gauge - what do you think I should get? I’ve been chip carving now for about 3 months. I’ve been concentrating on free form chip carving and I’ve been practicing on patterns that lend themselves well to box lids. I have a nice crosscut sled that I built but I really don’t have room to keep it in a good spot and sometimes it’s hard to get to. My shop is small. I would like to get a better miter gauge than the stock one that I now have because I have a good place on the wall where I can keep it handy. I want to start making chip carved boxes. 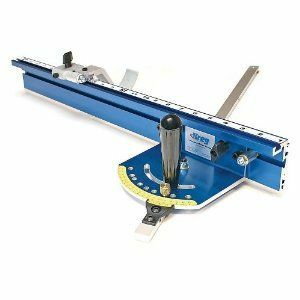 I suppose that I can scrape up at least $200 to put into a reasonable good miter gauge. If you were me which one would you get? 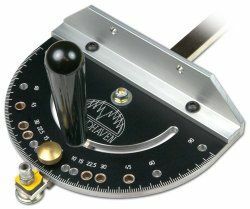 I do not have time to build a good miter gauge nor am I even sure where I could put it if I did have time. Incra, makes good miter guages as well. I have this one. It’s done everything I need from one. David, I assume the idea would be to cut the miter as accurately as possible with the miter gauge and saw and then after you have made an accurate shooting board you would want to be taking off the least amount of material as possible. You would also want to have a stop on the shooting board that engages with the opposite end of the side that you are working on and work on opposite pairs of sides with the same stop set so they end up being the same exact length. Is this correct or am I barking up the wrong tree? The price is definitely right on the Osbourne, $99!